You can search for short domain names on selective extensions – There are tools such as BULK DOMAIN SEARCH that allows you to search domain names in bulk, here we will be using same tool for finding available short domain addresses on the extension of your choice. Common short domain addresses have already been registered but still there are possibilities as many expired domains keep coming back to the registry after some time and short domain extensions such as .CO are also joining in. STEP-1 Search for your 2-3-or-4 letter words on wiki dictionary. Lets say you are looking for some 3 letter domain name then first search for the 3 letter words, simply Google 3 letter words <space> +wikitionary.org OR click here. STEP-2 On Wikitionary page you will find all 3 letter words ordered by alphabets. Click A and the copy all the words which starts from A alphabet. STEP-3 Now visit this Line Breaker Tool here and paste the words in Input Data text area. Then on Needle field type A and select ‘Before’ on Where dropdown box. STEP-4 It will instantly show you all 3 letter words now broken into new lines. 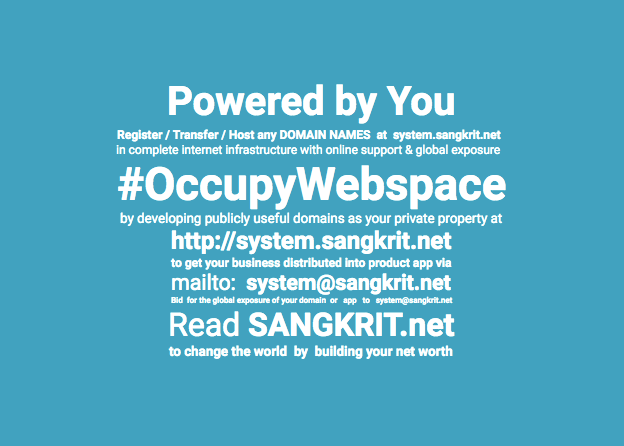 Just copy these words and use SANGKRIT.net’s BULK DOMAIN SEARCH to check availability of your domains. Repeat same steps for other words too, on Wikitionary click B, then place needle over B on line breaker tool and do as directed in the above given steps.